Create a bedroom of luxury and style with the Pueblo White Dresser and Mirror. This outstanding furnishing is made from 100% solid pine with a six-step rubbed finish for an antique look. Its top features a medium brown stain that adds depth and character to the solid pine, while the solid wood drawers boast English dovetailing on the fronts and ball bearing metal glides for easy and effortless operation. This sturdy and quality constructed set offers an updated trendy configuration in a stylish, rustic look. In love with the look of the Pueblo White Collection? Consider combining this dresser and mirror with other pieces of the collection. 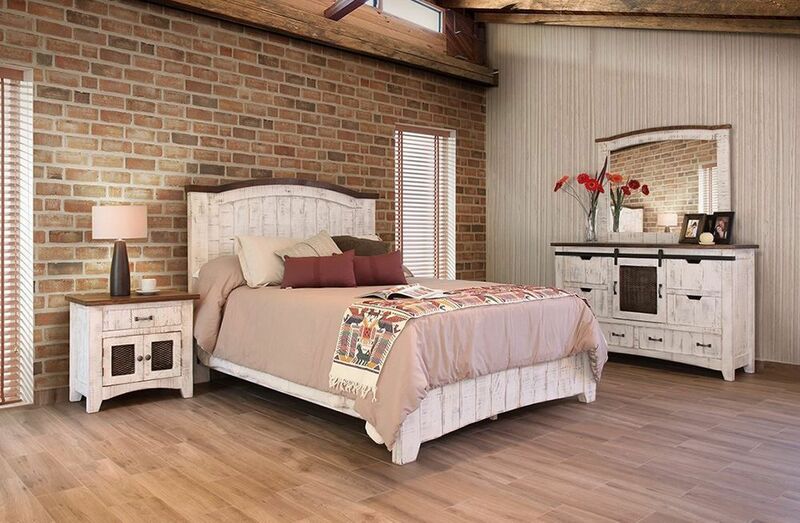 All featuring 100% solid pine, the pieces of the Pueblo White collection will help you create a bedroom filled with quality furnishings. 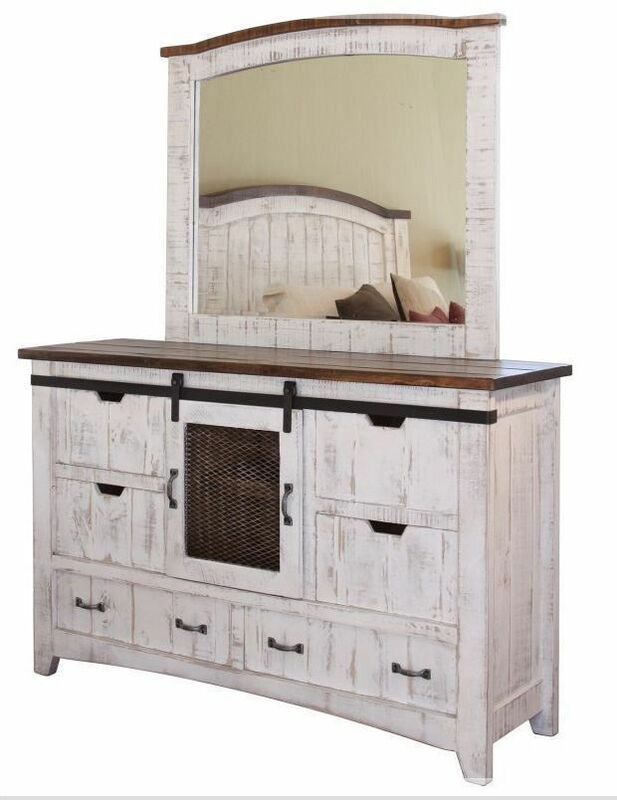 Create a bedroom of luxury and style with the Pueblo White Dresser and Mirror. This outstanding furnishing is made from 100% solid pine with a six-step rubbed finish for an antique look. Its top features a medium brown stain that adds depth and character to the solid pine.